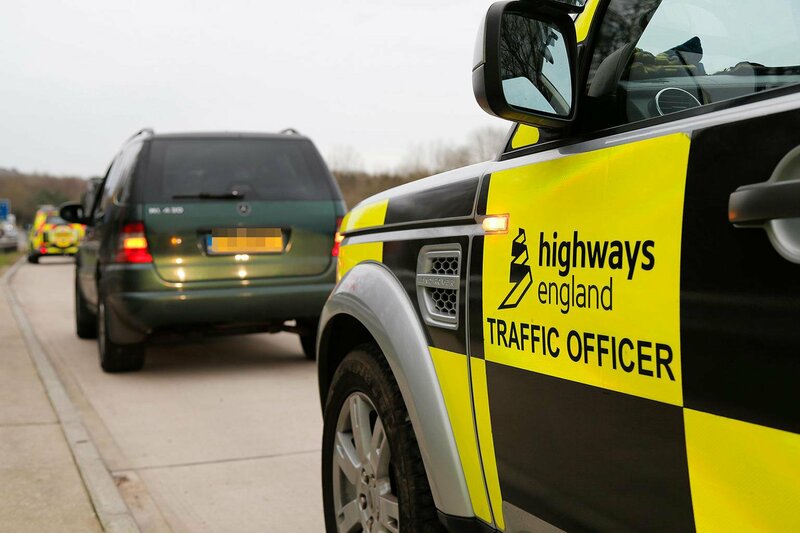 Confessions of a Highways England patrolman | What Car? Q: Is a Land Rover Discovery a necessary vehicle for your duties? A: Yes, we use them for uprighting overturned vehicles and clearing all manner of vehicles from the carriageway. Plus, we carry a lot of equipment. Q: Are you allowed to do that? Surely that’s the recovery guys’ job? If you’re not allowed to help a stranded person change a wheel, I can’t imagine you are allowed to upright overturned vehicles. Are you trained to do so? A: Yes, we're all trained in the uprighting of overturned vehicles up to 3.5 tonnes. Q: What equipment do you carry? I'm intrigued as so far you seem to have ruled out most things. We carry: 20 cones, nine flashing lights, three keep left signs, three keep right signs (these are interchangeable for full carriageway closure), shovel, two brushes, auxiliary braking strap, four recovery straps and load cell, crow bar, first aid kit, rain capes and foil blankets, six bags of Spagzorb spill kit, full spill mats, hazwaste bags, a box of rubber gloves, a tub of handwipes and a roll of paper towels. That's about it. Q: Twenty highways issue traffic cones must be quite big to begin with! Do you get frustrated when people use their warning triangles on the hard shoulder? A: Our cones are smaller than the standard ones you see at roadworks. You’re right, warning triangles are not to be used on the motorway. It’s about educating the motorist and explaining that they could get sucked into live lanes by passing heavy goods vehicles. Q: Why don’t you use BMW X5s like the police? A: After a trial, it was decided not to go ahead with them. Q: Do you know why the X5 was not taken forward? Why is the Discovery favoured? A: I'm not sure about the X5; it was something to do with someone complaining about us having a high-end luxury car for patrolling. The Discovery is favoured as it has better road presence and a lot more grunt and interior space. Q: Not sure why they would think a Discovery is less posh than a X5. The Mitsubishi Shogun seemed to be the cheaper option. Dacia Dusters for all but supervisors. I mean, how often do you need to tow? A: I have towed vehicles every day this week. The Duster doesn't have the grunt for carriageway clearance and clearing overturned vehicles. Q: I would never want to rely on anything from Land Rover! A: Apart from wear and tear, we haven't had too much trouble with our Discovery; it's a 2015 car with 150,000 miles on it. Q: Did you find the Mercedes vans were OK, then? A: The Vito wasn't used for carriageway clearance; it was used to carry extra kit for full closures, welfare stops for staff on closures and routine patrols. All heavy stuff was done by the Shogun and Discovery. AS: Wouldn’t surprise me if they have trialled a Dacia at some point, they have trialled everything else. Kia Sportage, for example, ticked almost every box apart from towing capacity. I think the X5 was canned as it couldn’t carry a full complement of kit when the equipment cage was installed. No one has ever really talked about trying high-load capacity estates either, but I imagine the same towing capacity issues are prevalent wherever the vehicles team look. Q: Why do you use expensive 4x4 vehicles instead of vans? The only time I have seen an 'official' vehicle towing another from a live lane was a police BMW X5 on the M6 some time ago, whilst the HE guys just stood there watching. So why do you need a 4x4? A: Vans don't have the capability for carriageway clearance that the 4x4s have. I can't comment on the police clearing the vehicle; police in my area haven't got the equipment to clear vehicles, so we do it. We use our 4x4s to upright overturned vehicles up to 3.5 tonnes in weight, we can also clear 44-tonne wagons with the aid of our electronic load cell. Vans haven't got that grunt. Q: Why doesn't HE use something like a Volvo V90? More powerful, more economical, better to drive and roomier? A: Our vehicles team are evaluating possible patrol vehicles all the time, a number have been converted to patrol cars on a trial basis, but never made it on to the fleet due to being unsuitable for a number of reasons. Q: Do HETO patrols have dash cams and, if so, what make? A: They don't have dash cams, but have front and rear-facing CCTV cameras which are recorded onto a hard drive which is fitted in the car. 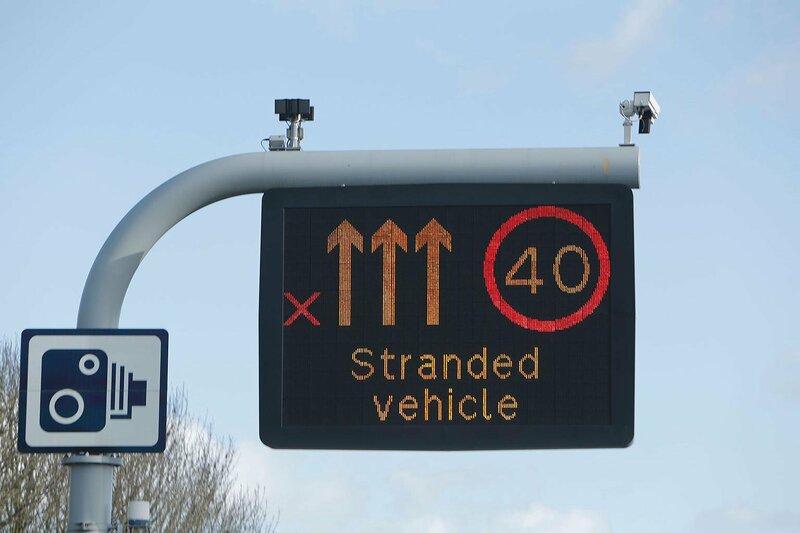 Q: When stopped on the hard shoulder of a free-flowing motorway, is it appreciated for vehicles in lane one to momentarily move to lane two as they pass to create a sterile lane between you both, before returning to lane one post-scene? A: It is always appreciated when anyone moves out into lane two past our incidents. I believe it's the law in parts of America for vehicles to 'slow down, move over' on those occasions; I think there should be something similar in this country. Q: As a frequent motorway user, there have been a few times when I have been in 'pole position' behind one of your vehicles when you slow the traffic down to crawling pace, for example due to an accident ahead. One of these times there was a car alongside me who clearly thought 'this could take a while' and overtook the HETO car and peeled off into the distance. Do you report cars that do this? A: We do report them. Rolling road block breeches are reported to the police, who take it further. We also tag the in-vehicle CCTV and the footage is handed to the police. The majority of ones that have breached our blocks have received fines and penalty points on their licence.